The Players are the people, The Playhouse is the building! 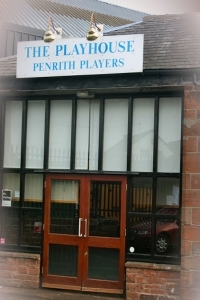 Penrith Playhouse is the only permanent, Member run Theatre in Penrith, and thrives on the commitment of volunteers. Browse the site, and then come and see what we have to offer – or even come and take part. There are not only opportunities to act on stage, but also to help with a variety of tasks behind the scenes; including set building & painting, costumes & make-up, sound & lighting, props & stage management. We also have a comfortable bar, staffed by members, which also plays host to various live music events throughout the year. Penrith Players continue to go from strength to strength with an undiminished commitment to putting on excellent productions in a modern, comfortable and friendly environment. We always offer a warm welcome to all new members who want to become a part of the club and would jump at the chance of getting more younger members of the community on board. There is plenty to do both on stage and behind the scenes.